1-800 Flowers a-DOG-able #Giveaway CLOSED!! In my family we are dog people. We have always had dogs, from growing up to now. 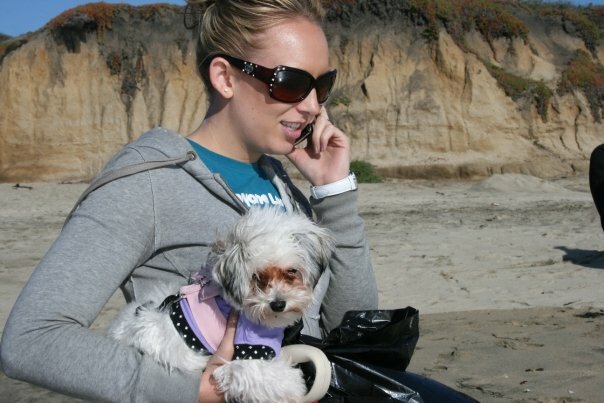 My sister has a little dog that she loves to carry around and spoil, her little “Wuffy”. She does not have any kids at this point in her life so her dog is her baby. 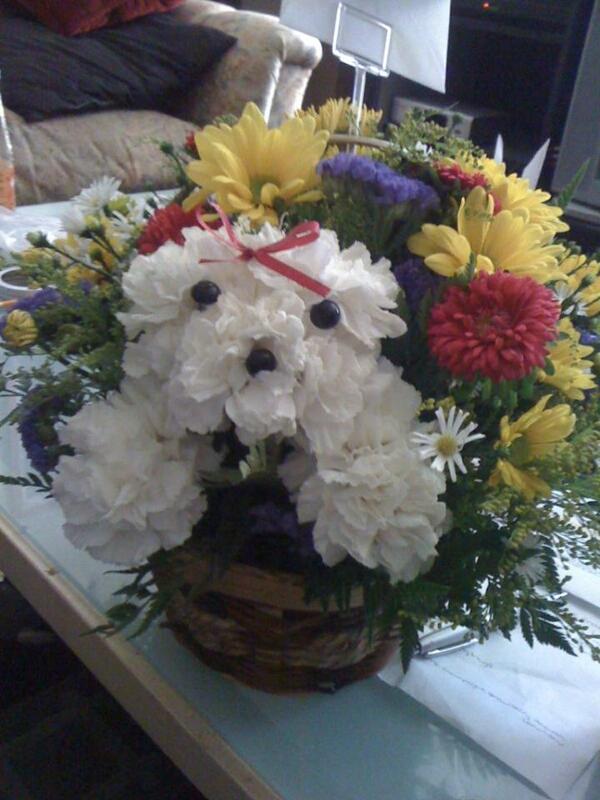 Well I was given the chance to review a really cute dog bouquet from 1-800 Flowers. When I saw this bouquet the first thing that came to my mind was “Wuffy”! It looks just like her, so I decided to surprise my sister with a bouquet that looked just like her baby. She called me when it arrived and said that she could not believe how cute this bouquet was. She said that it was the cutest bouquet of flowers she had ever seen. The arrangement was beautiful, so bright and colorful!! She sent me a picture of it and said that the picture she sent does not do the bouquet she got justice!!! Now her boyfriend knows what to get her next time he is in the dog house, so to say! Get your pick of the litter! From party animal to darling diva, there’s a truly original a-DOG-able personality to fit every occasion. Now in the office or at home you can bring your best friend with you in original hand crafted arrangements from 1-800-FLOWERS.COM. These puppy-shaped bouquets are perfect for dog lovers, pet parents, or a unique gift to get you out of the doghouse as well as an easy way to deliver a smile. 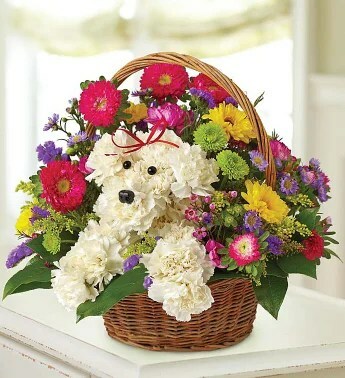 One lucky reader will have the chance to receive a 1-800-FLOWERS.COM’S a-DOG-able™ in a Basket arrangement. Tell me who you would give this to, even if it is for yourself!! Please leave your email with this entry!! This giveaway is open to US residents. This giveaway will end at 11:59 pm on September 1 ,2011. Winner will be chosen at random.org and will be given 48 hours before another winner will be chosen. All products for reviews and giveaways are given as a sample from the companies. All opinions in reviews I conduct are my own. I was not paid to say anything or review any products. I would give it to my sister. She loves getting flowers!